DAVID: We can eliminate the last three right off the bat, leaving a four-way race that is, for my money, surprisingly close. Game of Thrones is back in the mix after taking last year off, though most perceived a dip in quality; The Crown has innate awards appeal and a big Netflix push; Handmaid’s Tale is itching to repeat for a sophomore season that a lot of viewers simply found too miserable to finish. 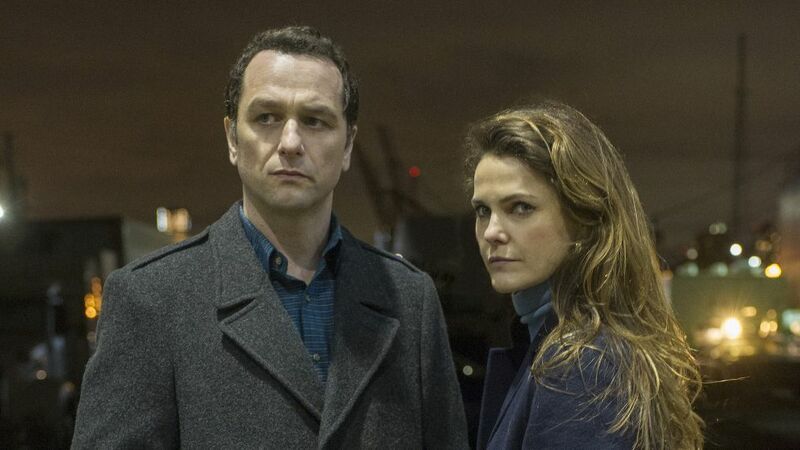 And, of course, there’s our beloved The Americans, which just might pull off the farewell prize after six years of snubs. I so desperately want to make the sentimental choice, but…my head won’t let me. Game of Thrones isn’t the best show on TV, but it is the most show on TV, and often that’s all you need. CHASE: Disagreement right from the start! I think This is Us is much more in the mix than the wildly uneven slog that was the second season of Handmaid’s Tale. As great (and beloved by me) as The Americans was, it’s just never going to have the votes. That’s okay. The Wire never received any Emmy love either, and it’s now acknowledged as one of the greatest shows of all time. Put The Americans in that bucket. My problem with Thrones is that it’s been off the air for so long. It’s been over a year since it aired an episode, and that season was a kind of a mess. That’s why I’m taking The Crown to give Netflix the best drama win it’s always coveted. If Thrones was right on the verge of a new season things might be different, but that hype (loot) train feels far, far away. SEAN: I don’t think the time off is going to matter. The hype train for Thrones is still chugging along (every week there is a new article about when the last season will premiere). Critics and bloggers may have seen a dip in quality last season (I disagree), but fans went nuts for it and I expect the Emmy voters to do the same. And it won the most Creative Arts awards the other night. Game of Thrones is heading into Emmy night with a strong head start. If there is an upset it will likely go to The Crown. DAVID: Look, I don’t think anyone here doesn’t appreciate the greatness of Elisabeth Moss. If she repeats on Monday, it won’t be a surprise, and she really only needs one scene (her brief reunion with her daughter) to secure it. But you absolutely can’t count out Claire Foy or Keri Russell — both eligible for the last time for their respective parts, as Foy gets swapped out for Olivia Colman this fall. Russell, especially, has been on a rising wave of critical goodwill for the past few years. Can she pull it off? Also: I’m thrilled to see Sandra Oh here, but her counterpart Jodie Comer should have been as well. Next year. CHASE: It’s not going to be Keri Russell, but that won’t stop me from picking her anyway. A guy can dream, right? Sometimes the Emmys get weird and right on the same night. Remember when Rami Malek, Tatiana Maslany, and Kate McKinnon all won a few years ago? Russell and Rhys have the goodwill and acclaim even if no one watched the show. If The Americans wins anything it will be in the acting categories. My gut says Evan Rachel Wood though. Westworld is crap, but shes good at giving those monologues. SEAN: A Elisabeth Moss repeat would be justly earned, but i have a sneaking suspicion Claire Foy wins for The Crown. It’s a richly layered performance and she was very close to winning last year. 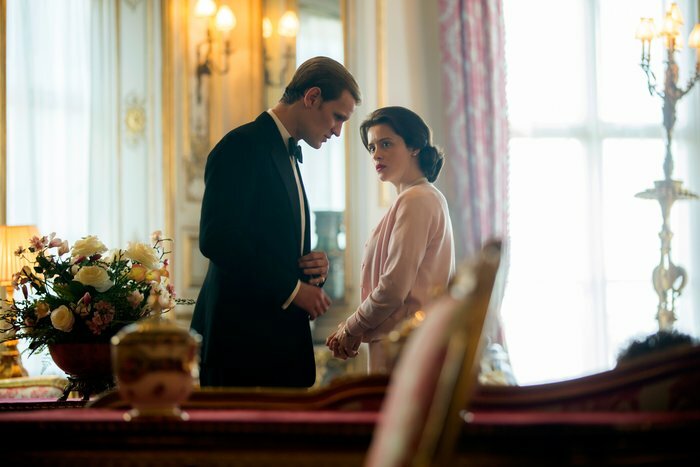 The second season of The Crown was arguably better than the first and a large part of that had to do with Foy’s work elevating the melodrama. If Moss and Foy split the vote, then watch out for Russell. DAVID: This is The Americans’ best chance for a major prize, and there’s precedent — Kyle Chandler in 2011 — for Matthew Rhys to get a farewell prize. Especially in a field this weak. I mean, Sterling K. Brown could repeat, but why? Have the voters even been watching TV? (Maybe don’t answer that.) 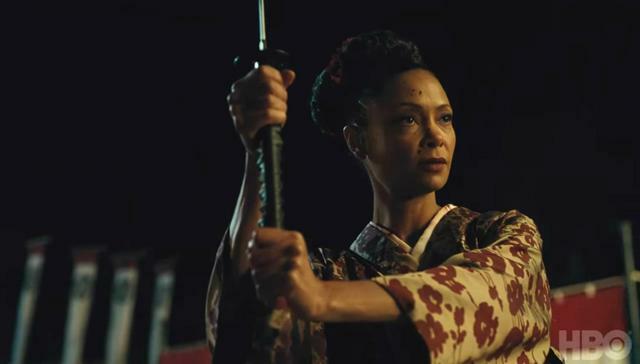 Rami Malek, Dan Stevens, Lee Pace (pour one out for Halt and Catch Fire, completely shut out), and even Kit Harington gave more interesting performances than anyone on Westworld. CHASE: This field is depressingly weak, but I’m going to pray that means Rhys can pull it off. The reasoning is the same as for Russell, but Rhys is also facing much less competition. Ed Harris and Jeffrey Wright are here for their names (and HBO’s pocketbook), and it’s always possible that someone with resumes like theirs can win on star power alone. SEAN: Rhys could pull it out Sunday night (it feels like The Americans has to finally win something major), but I’m going with an oddball pick — Jason Bateman for Ozark. The performance has earned raves even when the show hasn’t. Though he has faced some controversy this year over that New York Times interview, his switch from comedy to dark drama has turned a lot of heads. There are too many big names and previous winners competing here. Perhaps there is enough vote spread for Bateman to slip through. DAVID: It’s going to be someone from Handmaid’s Tale, unless they cancel each other out and, I guess, Thandie Newton rises to the top. And though all three of those ladies are incredible, it has to be Yvonne Strahovski, who sinks her teeth into the series’s most challenging role with no shortage of showcase moments. Again, assuming enough voters can make it through their screeners. Bledel is the dark horse. CHASE: Sure, I guess? Strahovski, but I don’t feel like there’s a clear frontrunner here. SEAN: I’ve been beating this drum for years, but there is a theory out there that Lena Headey will finally win for her tremendous performance as Cersei Lannister in Game of Thrones, because she doesn’t have any other castmates nominated alongside her and the Handmad’s Tale women will split the vote. Her work in “The Dragon and the Wolf” is as good as anything she has ever done on the show, but it’s not as flashy as her Season 5 and 6 submissions. If she couldn’t win for the Walk of Shame, she likely never will. This is Strahovski‘s for the taking and it would be a well-deserved win (she was the best thing about the over-indulgent second season). DAVID: There’s a gaping Noah Emmerich-sized hole in this list, but there’s nothing we can do about that now. Harbour would be an interesting choice, though it’d be more about the actor’s own likability than the complexity of the performance. Dinklage is a perennial threat. 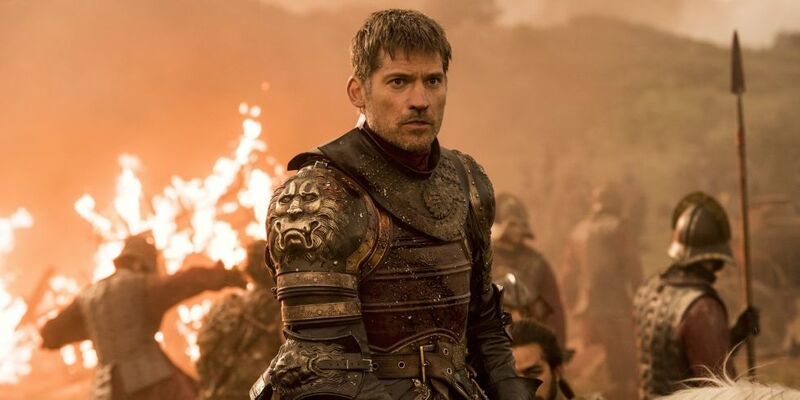 But I have the feeling that it’s finally time for Nikolaj Coster-Waldau, who had plenty of meaty scenes as Jaime Lannister wrestled with his loyalties, to earn Thrones another acting Emmy. CHASE: Game of Thrones actors and actresses have had a terrible time winning Emmys unless they’re Peter Dinklage. Hence, the logic goes, pick Peter Dinklage. Pour one out for Noah Emmerich who was always unfairly snubbed in this category. He was great as FBI agent Stan Beeman, and it just goes to show that no one watched The Americans. They just heard it was good. SEAN: Nikolaj Coster-Waldau would be a great win, but with no clear frontrunner I think Matt Smith pulls it out for The Crown. His power dynamic with Claire Foy was fascinating to watch and I think she elevates his work anytime they are on screen together. She will drag him along for a second Crown acting win. DAVID: Once again, it’s Thrones vs. Handmaids. “Beyond the Wall,” for all the quibbles we have with the storytelling, was a technical stunner. And if it’s already in line to take the Drama prize, I expect it to win this one by acclamation. CHASE: I just can’t see it. “Beyond the Wall” is one of the least acclaimed episodes the show has ever had, matched only by season four’s stunningly unconsidered “Unbowed, Unbent, Unbroken” (which was helmed by fellow Thrones directing nominee Jeremy Podeswa). If Thrones pulls a win I expect it to be for the 90-minute finale, but Matt Shakman not getting nominated for the vastly superior “Spoils of War” is the real crime here. All that said, I like Stephen Daldry for his name, his craft, and his show’s recency. SEAN: One of the Thrones directors will take this, it’s just a matter of voter taste: technical wizardry, or rich emotional storytelling payoffs? Wizardry often wins out, so I’m going with Alan Taylor. DAVID: Dare I predict another Americans win? Dare I? 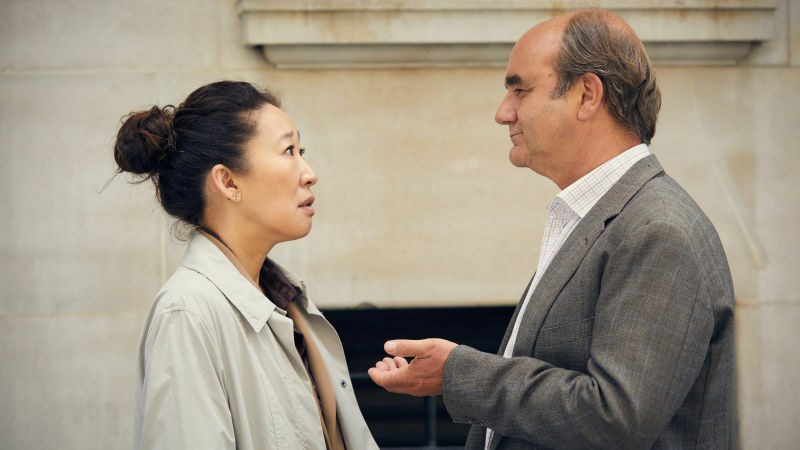 The Joes would have earned it for their pitch-perfect finale, but if I’m placing a bet, I’m going with the pilot for Phoebe Waller-Bridge’s Killing Eve, which solidified her place as one of the freshest voices in television. 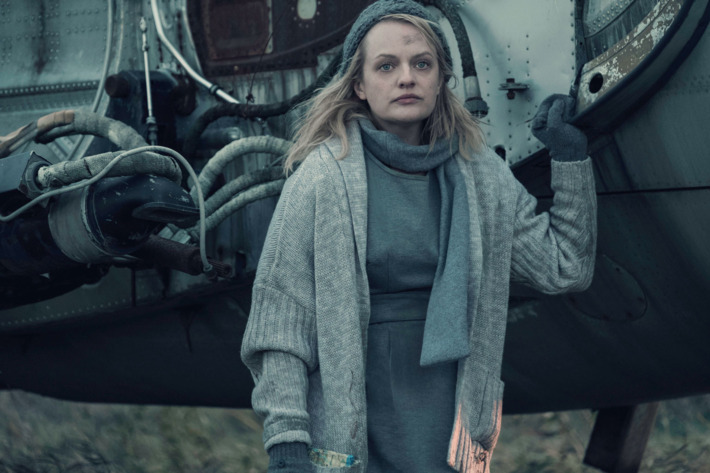 CHASE: What everyone likes about The Handmaid’s Tale are the thematic tethers to the modern political situation, and that’s all a function of the writing. Waller-Bridge and the Americans boys don’t have the breadth of votes to win this category.